Hello! man is 5.0 great or what?! I was really excited to hop right into mapping but there is a serious lack of information towards this. There was enough information through scouring to get it working, but alot of older info from 4.1 and other versions got included in my searching. is it possible to make a sub-forum specifically for mapping? so you can pin tutorials and information? there are alot of questions I have regarding GE_ entities and such. is there a hidden source of information somewhere? for example. no func_ladder or trigger_ladder? how do you get ladders to work? my friend loaded the server, mode was silver shooters. was a rocket supposed to spawn? or by setting one to 8 does that make it a rocket? Hi there! We're working on a detailed write-up of the specific GE entities. In the mean time you can feel free to ask questions here. Regarding ladders: Ladders are actually point-based in our game, meaning you need to make a point entity called func_useableladder. What this will do is create two boxes that are initially overlapping eachother. Simply click on the origin of the box in the 2D view and drag it to where you want to define the ladder. It is also important to make another point entity called info_ladderdismount. 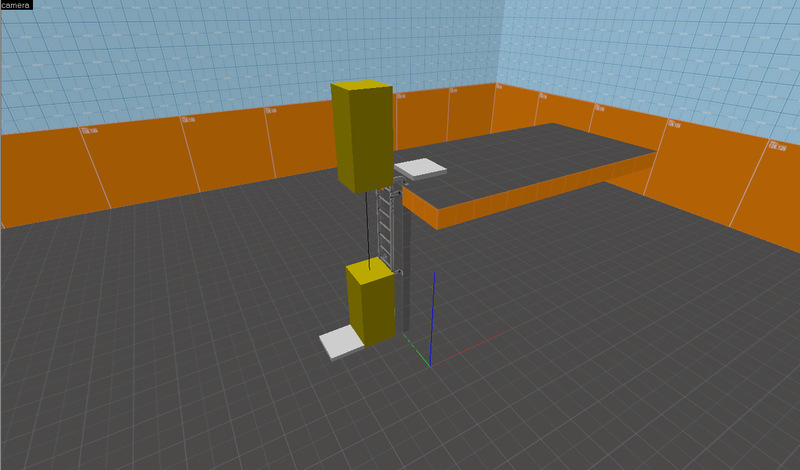 This tells the ladder where the player can mount/dismount from the ladder. Please note: Ladders in the Source engine can be awkward to interact with, and they are only used where they are absolutely needed in our official maps. If you can design your map to traverse heights by ramps, stairs, an elevator or even by stacking props, I'd rather suggest that. Regarding weapon spawns: You are correct. The weapon slot value for the spawner in Hammer will correspond to the weapon listing in each set, hence why the 8 spawn using the Silver Shooters loadout gave you a rocket launcher. in regards to the weapon lists, are there text files regarding which lists contains what? All of the default weapon loadouts are defined in weapon_sets_default.txt found in your gesource/scipts/loadout folder. How can I force a gameplay type mapside? is that possible? Do not necropost. The last reply is over a year old and so the question likely is no longer relevant.